Tulsa usually isn’t the first place to pop into people’s heads when they think about moving to a city. Situated in the Northeastern region of Oklahoma, Tulsa is the second-largest city in the state just behind Oklahoma City. Its a hidden gem within the Midwest, filled with great people and great opportunities. While it lacks the fame of places like Manhattan, Chicago, and Los Angeles, I believe Tulsa to be one of the most underrated cities in the country. I was born and raised in rural Virginia where “rush hour” is considered three cars backed up at a stoplight. I’ve always considered myself a country girl, preferring pastureland and starry skies to city blocks and round-the-clock traffic. I was apprehensive about the change of pace I may encounter by my move to Tulsa. Needless to say, I worried about nothing. 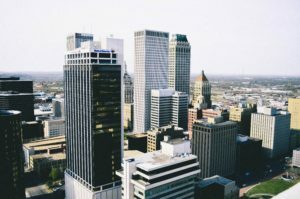 Tulsa is a good-sized city; the population is over one million within the metropolitan area; however, it has the characteristics of a small-town community. People are warm and welcoming rather than the city folk stereotype of cold and to themselves. Traffic dies down about ten o’clock in the evening, and rarely will anyone honk at you are rush you when driving. Hunting and farming are big things here; all you need to do is drive a few minutes out to find good land. When I say a few minutes, I mean a few minutes. From downtown Tulsa, all you have to do is go over the river before you’re surrounded by beautiful rural land. That being said, Tulsa offers the modern amenities of any big city. Stores are open much later and they’re open every day of the week. You don’t have to drive twenty minutes to get to Walmart because there’s one on every corner, along with a gas station. There are also many choices when it comes to restaurants, shopping, and activities. Another small town aspect is the sense of community that the city has. I’ve never lived in a place where people have so much respect for each other, no matter any differences. Tulsa is located in the Bible Belt, and it’s noticeable…and not in a bad way. People here take their faith seriously. For example, I remember a few years back when police brutality was a major subject throughout the news and media. A few police officers had shot unarmed African Americans. Tulsa had an incident of the same nature around the time of the Charlotte riots. I believe that the country expected riots in Tulsa as well; but instead, people from the city, African American and White, met to pray. I was impressed by the way the community handled the situation. No better sense of community than that. One reason to move to Tulsa is for its incredibly low prices…on everything. Tulsa is known for its low cost of living. Fuel has low prices because Oklahoma is an oil state; it produces a lot of it. Housing is cheap because there is room to expand. Eating and shopping are cheap because the economy is BOOMING and there is plenty of healthy competition throughout the market. Whenever I talk over the phone to my family back in Virginia, one question we always ask one another is “what’s the gas price at?” I am never ashamed to rub it in that I pay much less then they do. That being said, Tulsa does spoil you. Anytime I travel out of state, I can’t help but exclaim over the price differences. Because of the low cost of living, people can afford to spend more, which then allows businesses to produce more and offer lower rates. It’s a beautiful cycle of consumerism and capitalism working on the behalf of people and business owners to keep prices low. Job opportunities flourish in Tulsa. Not only does the low cost of living attract people, but it also attracts big companies to set up headquarters and branches within its limits. Tulsa is home to in-demand industries such as aerospace, energy, finance, and information. Companies that were once situated on the East and West Coasts are leaving the high costs and stricter regulations to move to Tulsa, with its low costs, desirable incentives, and willing workforce. Tulsa is also bursting with small businesses. You will find many people with specialized skills flourishing in the Tulsa environment. If working for a small business is more your speed, there are many opportunities available for you. I work for a small business myself and I witness firsthand how much Tulsa appeals to the small business owner. Entrepreneurs take note: Oklahoma makes it incredibly easy to start a business, and the state offers a lot of tax benefits and incentives. 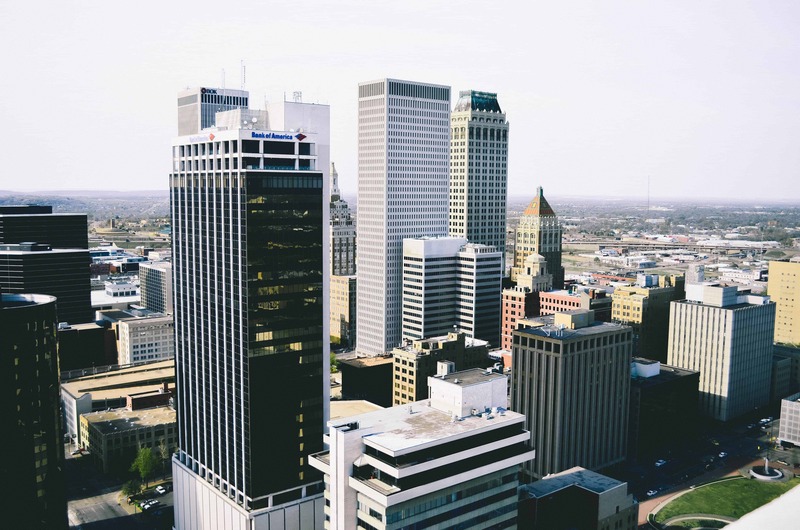 Throughout Tulsa, you will find many niches that you could fit into, and entrepreneurship is rampant here; if you can’t find your niche, start one and watch it catch on. If you’re an investor, Tulsa is a state to consider for your next investment. Not only are there plenty of startups to put your money into, but also the real estate market is hot. In the few years that I’ve lived here, I’ve watched areas being developed at extraordinary rates, and it’s not like there’s development and then properties sit a while; no, it’s more like homes can’t be built fast enough. With the plethora of schools and campuses in the city, rentals are in high demand. Even if you’re not a seasoned investor, the real estate market in Tulsa may be something to look into. A big reason to consider a move to Tulsa would be its family atmosphere; it offers something for everyone. Besides the low prices on family-sized houses and the low cost of groceries and healthcare, Tulsa and its surrounding areas offer great school systems and plenty of youth activities. I’ve had a chance to talk to some kids here, and I am always impressed by what they tell me about the schools. Not only do the schools take great security measures, but they also offer many different electives and opportunities for the kids. Tulsa offers many day trips for your family. The Tulsa Zoo is pristine and the animals are well cared for. There are many museums throughout the area, like the Philbrook Art Museum and the Tulsa Air & Space Museum. During the summer, there are usually many family-friendly festivals in and around the Tulsa area to enjoy as well. The community also has a vast array of parks for the family to enjoy, not to mention one of the greatest parks in the USA known as The Gathering Place. If you underestimate or doubt that statement at all, just go look it up. The Gathering Place was funded by a Tulsa multi-billionaire, and it is kid paradise. For lack of a better term, it’s like a free amusement park. It has excellent architecture and style, and there are jungle-gyms there that I could’ve never imagined. Any type of cool thing to play on, they have it. If I didn’t already live here, I would probably vacation to Tulsa just to go to this park. I was surprised when I originally arrived in Tulsa and saw how diverse the area was. When one thinks of the Midwest, diverse isn’t usually the first term to come to mind. I’ve had the opportunity to meet lovely people from all over the planet. I’m not really sure how people from across the globe end up here, ( I can’t recount ever hearing about Tulsa until I was seventeen years old, and I was born and raised in America) but it makes for a great place to live. Not only is it diverse, but what I’ve noticed is that Tulsa embraces diversity, through race and through gender. I’ve met business owners, corporate workers, and professionals that all break barriers that may be held in other parts of the country. If you are looking to experience a taste of the different cultures, you don’t have to look too far. There are many local stores, restaurants, and festivals that are dedicated to sharing their culture with the people of Tulsa. Coming from living in the Blue Ridge Mountains where I went hiking almost every weekend to living in the plains of Oklahoma, I struggled to find activities that satisfied my outdoorsy itch. It took a bit of digging, but now I realize that Tulsa is an outdoorsman’s dream. As I mentioned earlier, hunting is a big thing here, but so is rock climbing, bicycling, running, horseback riding, and quite a few other activities. Just outside Tulsa are a number of beautiful lakes where most locals will spend the summer weekends. People free climb over at Chandler Park where there are natural rock formations. If you’re a hiker, then check out the one-and-only Turkey Mountain; don’t get me wrong, if you’re from a mountainous area then you’ll consider it a hill, but it’s enough for a good hike. We also have the Arkansas River, which flows right by Tulsa and it allows for some good kayaking. Are you into sports? Tulsa is the place to be. You can enjoy a Tulsa Drillers baseball game or you can go watch a Tulsa Oilers hockey match. You can root for the Sooners…and only the Sooners… when it comes to football. I’ve also noticed that the high school teams are pretty competitive here as well and locals will make it clear who their pick is. Needless to say, if you’re a sports fan, then Tulsa is the place for you. Tulsa local bands are the best, and you can experience them at venues and festivals throughout the city. Not to mention, Tulsa is home to the BOK Center, The Vanguard, and Cain’s Ballroom, all popular venues for your big-named singers. You can catch a concert almost every weekend. Whether you are part of a band or you’re looking for a local casting call or you just want to experience good authentic entertainment, you should try your hand in Tulsa. If I should say that you should move to a city in Oklahoma for the weather, most people living in other places in America would laugh out loud. Yet, I say it with all honesty: I grew up in the East where it rains October to May. It snows so much that you start to get cabin fever. You can’t walk without sinking in mud up to your knees. Tulsa, on the other hand, experiences beautiful sunshine year-round. The winters are mild with a few ice storms, but it rarely snows. Summers are hot and humid, but not as humid as the swamps in Virginia. The tornado sirens go off every now and then, but there is rarely ever a tornado. There is something about the geographical area of Tulsa that keeps devastating tornadoes from happening. If you’re someone who enjoys a good thunderstorm, Tulsa is the place to be. You may think I’m crazy, but I’m able to get outside much more now than I did growing up in the East. I’m the type of person that the weather would greatly impact where I live and if I liked a place; if you’re like me, I would say you should move to Tulsa. I hope this list is enough to put Tulsa on your radar. It really is a great place to live, filled with great people, great activities, and many opportunities. It has everything for small town people to city folks alike and offers a great family environment. Whether you want to enjoy simplistic city living or you’d rather get your hands dirty with the entrepreneur spectrum, Tulsa is the place for you! Want to know more about Tulsa? Click here.